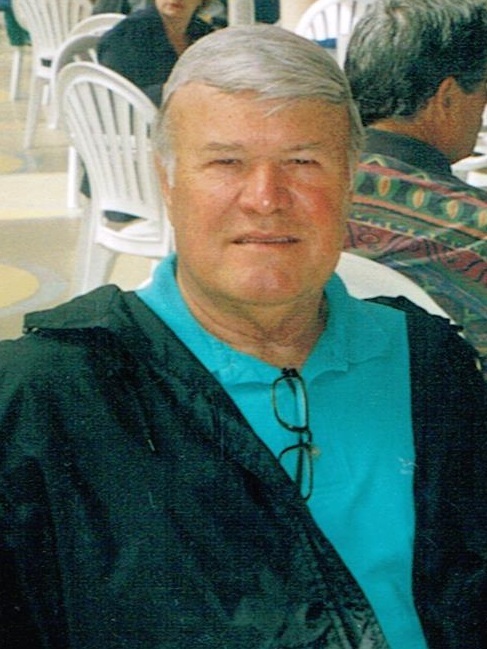 William E. "Bill" Doetzel, 79, died Sunday, August 17th 2014 at the Dougherty Hospice House. He was the son of William and Marie (Steffan) and was born in St. Louis, MO on November 5, 1934. In his youth he was active in the Boy Scouts of America and achieved the rank of Eagle Scout. He graduated from Southwest High School in 1953 and enlisted in the US Air Force the following year. He served with the 307th Bomb Wing of the Strategic Air Command in Lincoln, NE and was honorably discharged on January 15th, 1958. Bill married Carole Krell on November 15, 1958 in Sioux Falls where they made their home and raised their 5 children. Bill had a 30 year career with Sears Commercial Contract Sales and retired in 1998. He was a member of the Knights of Columbus, Lions Club and Homebuilders Association of the Sioux Empire. In retirement, Bill enjoyed visiting family and friends, fishing, woodworking and going to his grandkids school and sporting events. Bill had a great sense of humor and was loved by all. Grateful for having shared his life are his wife of 55 years, Carole, his children, Mary Kay Garry (Bill), Scott (Susie), Kathy Davis (Craig), Greg (Melanie), and Dan, all of Sioux Falls. He is also survived by 5 grandchildren, Nick Doetzel, Stuart Doetzel, Charlie Garry, Meg Garry and Molly Doetzel. He was preceded in death by his parents and sister Joan. Visitation will be from 5-7pm on Wednesday, August 20th with a Scripture Service at 7pm at Barnett-Lewis Funeral Home. Mass of Christian burial will be held on Thursday, August 21st at 10:30am at St Mary Catholic Church in Sioux Falls. Memorials may be directed to either the Dougherty Hospice House or St. Francis House in Sioux Falls, SD.